Derby Lane Greyhound Racetrack was established in 1925 and is said to be one of the world's premier greyhound racetracks today. 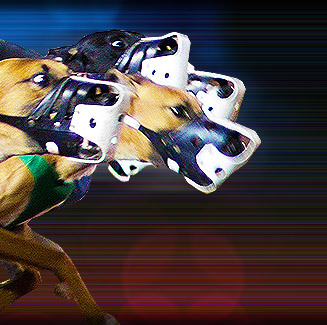 Derby Lane Greyhound Racetrack offers both live and simulcast greyhound racing action. Coffee shops, lounges, and concession stands throughout the facility for the comfort and convenience of greyhound racing fans. Derby Lane Greyhound Racetrack is located at 10490 Gandy Blvd N, St Petersburg, Florida, USA. Derby Lane Greyhound Racetrack started when T. L. Weaver, a lumber entrepreneur, expanded his timberland assets and lumber operations to St. Petersburg, Florida during the land boom of the 1920s. He sold one pine tract to a group of local businessmen who constructed a greyhound track. Unable to pay their outstanding balance, the businessmen gave the track back to Weaver's lumber company. Since then, Derby Lane Greyhound Racetrack has been with the Weaver family. The season was short in the first years of greyhound racing, so Weaver booked other entertainment events including stock car races and even an exhibition football game with the legendary Jim Thorpe. Since then golf stars, tennis celebrities and baseball hall-of-famers such as Lou Gehrig, Babe Ruth and Walter Hagan have watched greyhound luminaries including Racing Ramp, Lucky Pilot and Keefer race at Derby Lane Greyhound Racetrack. Derby Lane's concrete and steel grandstand replaced the original wooden structure in 1949, and 16 years later, fine dining was introduced in a six-story enclosed clubhouse. In 1977 a veranda clubhouse gave way to an additional enclosed grandstand. A greyhound kennel compound was built in 1990 and is surrounded by native plants and ponds. These wetlands are a preserve for many varieties of birds. The track also houses greyhound adoption kennels.